Sustainable architecture is a term that represents a broad range of concepts, processes and ideologies, and can be interpreted and realized in countless ways. To us, sustainability represents a design process that accounts for the environment on both the micro and macro scales, serves the needs of the program with as minimal an impact on the planet as possible, and positively contributes to the community, not only aesthetically, but in social, economic and cultural realms, as well. 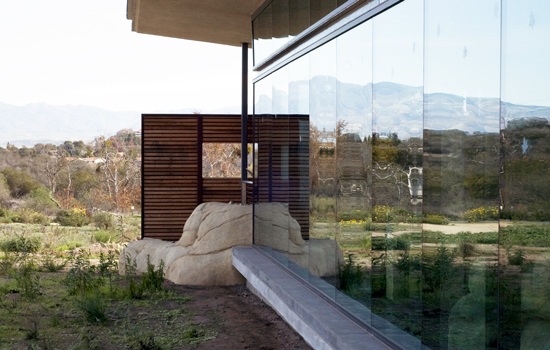 Dominus Winery: Designed by Herzog & de Meuron, this unique structure incorporates green building processes, local materials, and passive design strategies in the context of minimalist, modern massing. The structure moderates the temperature through the use of thermal mass at its distinctive gabion walls- a modular system consisting of basalt stones encased in a series of wire enclosures. Located in Yountville, California, the linear form and natural materials pay homage to the stunning landscape within which it resides. View more images from our visit at a previous post. Nix Nature Center: This small, site-specific building in Laguna Beach exemplifies innovation and environmental stewardship. Designed by Roesling Nakamura Architects, the James and Rosemary Nix Nature Center is located in the heart of Laguna Coast Wilderness Park. In addition to serving as an educational resource, it offers views of the natural Southern California landscape through expansive glass walls and from outdoor gathering areas; it also serves as the 'gateway' to South Coast Regional Wilderness Park- 20,000 acres of parklands and hiking trails. See more of our images here and find more information on the project at the Laguna Canyon Foundation's website. 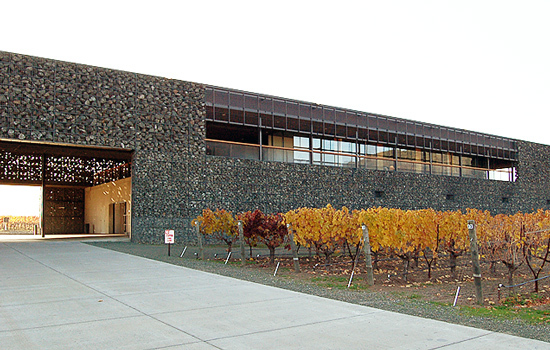 Stryker Sonoma: A beautiful winery set in a picturesque, 32 acre site, Stryker Sonoma Winery is thoughtfully integrated into the Northern California landscape. A favorite destination when we're in the area, the contemporary design is informed by the natural landscape and surrounding vineyards. With an environmentally-sensitive approach that highlights both form and function, Nielsen-Schuh Architects have created a timeless architecture that embodies sustainability and passive design principles. More details at our blog post, or visit Stryker Sonoma online for more information. Wishing you a very HAPPY EARTH DAY from MYD studio!